Category Archives for "Buying A Phone"
Essential information on buying a used cell phone. Samsung is one of the major players in the smart phone industry and it is not hard to know why. The South Korean company has released a lot of game changing phones with impressive display and excellent performance. However, it hit a roadblock when its Note 7 started to burst into flames. So when the Galaxy Note 8 came out it was a wonder if this newest offering from Samsung will redeem the company’s tarnished reputation. Read on to find out more and understand why we think Samsung found the perfect solution with our Samsung Galaxy Note 8 review. 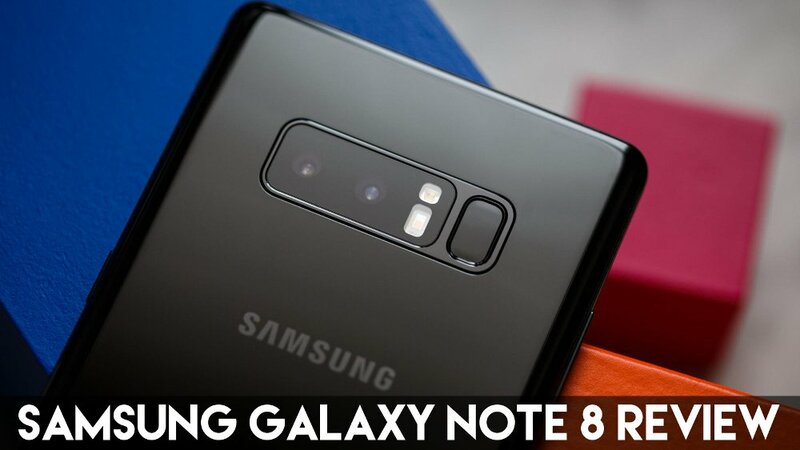 Before beginning it is imperative to tell you that Samsung has learned from its mistakes and have completed exhaustive tests before giving the green light for the Note 8. According to reports, Samsung did an eight-point battery safety check on the Note’s battery. In addition to an increased number of safety testing, Samsung has also decreased the physical size of the battery to avoid repeating history. The capacity of the battery was also decreased from 3,500mAh to 3,300mAh. Samsung also sought a certification from an independent organization to endorse the Note 8 as a safe and secure phone. However, it is too early to tell if the Note 8 is safer than its predecessor. If you are still worried, then it is best to wait a few months after it has been released. Two of the major wins of the Samsung Galaxy Note 8 are its marvelous screen display and two powerful cameras. The Note 8 boasts a vibrant 6.3 inch super AMOLED display and is very expensive to get this Samsung screen repaired. Thanks to the Infinity Display of the phone, users will have a wonderful experience interacting with the screen and its features. With this impressive display, this phone can easily be the go to gadget of artists, students, and businessmen. For instance, the Galaxy Note 8 also has a feature that allows you to jot down notes even when the phone is locked. This feature is called the Screen-off Memo that also allows you to make animated GIFs that are shareable in different social media and messaging apps. The Samsung Galaxy Note 8 sports dual 12MP rear cameras and one 8MP front camera. The two cameras at the back work together in order to deliver crisp photos. When you take a picture with the Note 8, the camera saves two versions of the photos: one wide-angle and one portrait. Samsung’s portrait mode, also known as the Live Focus, should be taken when you are at least 4 feet away from the subject of the photo and the lighting has to be good. You might think that it’s too demanding for a camera but when you see the high quality photos from the Note 8, you will not hesitate to adjust accordingly to its needs. The photos taken with the phone are vibrant and sharp thanks to Samsung’s ability to reproduce true to life colors. Aside from Live Focus, Samsung has also added new tools and filters to the camera app that will surely delight any photography lovers out there. The S-Pen, Samsung’s stylus pen, is already loved by many users. When paired with the amazing features of the Galaxy Note 8, fans of the stylus will be delighted. Samsung has made its stylus so compatible with the Note 8 that using it comes almost as natural as breathing. Other than writing, the S-Pen can also be used for taking shots of just portions of the screen, erasing mistakes in typing, checking out previews of images and hidden menus. The Galaxy Note 8 is a water resistant phone and Samsung has also added this capability to the S-Pen. Sadly, in our opinion, the Note 8 is still a few steps away from being perfect. The Galaxy Note 8 still has that inconveniently placed finger scanner at the rear part of the phone. Most users have complained that Note’s finger scanner is a hassle to use. Unfortunately, Samsung still thinks otherwise. Given the fact that complaints regarding the scanner have been around since Note 5, one would expect Samsung to come up with something better, but it didn't. Perhaps it's because the phone also offers the face and iris scanner, which to Samsung means users have two other options to unlock their phone and let go of the finger print scanner. But still, we do think that in certain situations, the finger scanner is the better and faster tool to use to unlock a phone. For now, we are stuck with the bad position of the finger scanner. Aside from the finger scanner, one thing that might slow you down from running out and buying the Note 8 is the price. Since Samsung has put a lot of effort into the display, camera, and performance of the phone, it is no wonder that they would want to recoup their costs and monetary value for their efforts. In the United States, the Galaxy Note 8 starts out at $930. Carriers like AT&T and Verizon offers the same model for $950 and $960 respectively. Sprint also offers the Note 8 at $960 while T-Mobile tries to be competitive with $930. The Samsung Galaxy Note 8 is a powerfully beautiful phone that is a few notches away from perfection. If you are in the market to buy a new phone, then we encourage you to know your priorities and needs first before purchasing. You may even want to sell your old phone to raise some cash for the new one. There are a lot of good phones from other brands that are not as pricey. So before spending almost a $1000, ensure that what you are getting is something that you will put to good use every day. The iPhone 8 or iPhone X, Which One Should You Get? For 2017, Apple has decided to launch three iPhones. There are two similar looking iPhone's and one premium, re-designed iPhone X. If you are thinking of buying one of these new iPhone's, you will be confronted with a mind-boggling question: the iPhone 8 or iPhone X? These three iPhone's are built to attract different types of consumers who value different things in an iPhone. Read on to learn the differences between the 2 iPhone's so that you can decide which one is right for you. Starting off with the price, your budget is one of the major factors in determining which iPhone is right for you. For the iPhone 8, the price starts at $699 while the iPhone 8 Plus starts $799. This is still a considerable amount of money to pay but certainly less than the iPhone X which starts out at $999. These prices, however, are before additional charges like taxes, Apple Care or if you want to get one with more storage. The starting price alone is a determining factor on getting the iPhone 8 or iPhone X. Aside from the price, the size of the iPhone also matters. The iPhone 8 is a more comfortable choice if you are looking for an easy to handle phone. The size of the iPhone 8 screen is 4.7" while the 8 Plus is 5.5". This is what you are familiar with on the iPhone 7 & 7 Plus so the iPhone screen repairs on the 8 shouldn't be too expensive. However, the iPhone X is physically sized between the two iPhone's but with its bezel-less design, its screen is larger than the iPhone 8 Plus by .3 inches. Apple has upgraded its screen resolutions for the three new iPhones by adding True Tone Technology making the iPhone adjust with the lighting conditions. However, the iPhone 8 and 8 Plus still have the HD Retina displays just like the older versions. 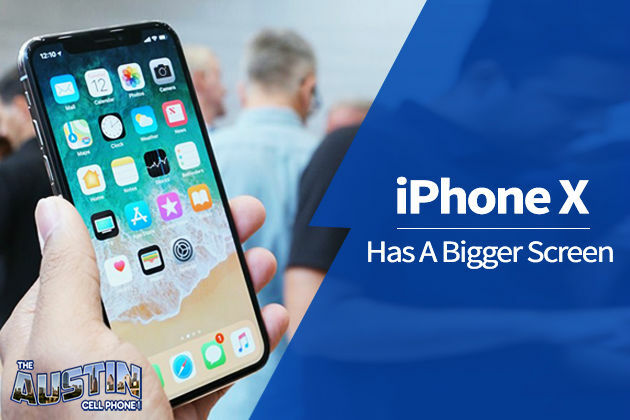 If you desire an iPhone with a premium display, then you should go for the iPhone X which has a Super Retina display and more pixels per inch. The iPhone X also has OLED and HDR technology, which is a first for Apple. These new technologies give the iPhone X a deeper, richer color and true to life images. The iPhone 8 or iPhone X camera, Which Is the Better choice? For some, the camera is a very important feature in their iPhone. If you are one of these people, then the iPhone 8 Plus or the X is the better choice. These 2 iPhone's have dual camera lens which helps in zooming and gives DSLR-like images. Both iPhone's also have a Portrait lighting feature. This setting gives a studio-like lighting effect which helps the shots look better. Fortunately, the Portrait Mode is available on the iPhone X front camera. Aside from that, both lenses of the iPhone X have faster aperture and optical image stabilization. The biggest and most noticeable change Apple did to the iPhone X was removing the physical home button. The home button has been a prominent identifier of the iPhones for a long time. ﻿﻿It﻿﻿ is a little weird seeing an iPhone without a home button but Apple has a way around that. With the iPhone X, maneuvering through the iPhone is done by gestures. 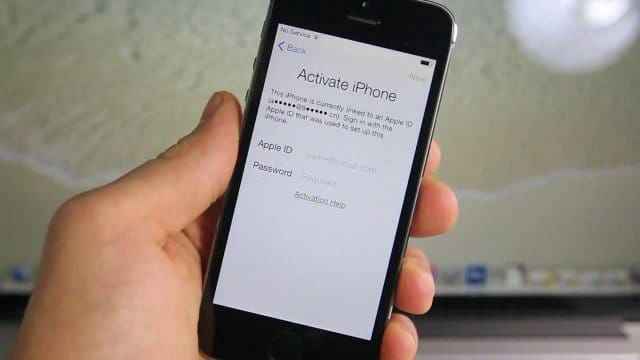 Which may turn you off a little by having to learn a new way to navigate your iPhone. Therefore, if you are not ready to let go of the physical home button yet, then you should opt to get the iPhone 8 or iPhone 8 Plus which still has the traditional build, design & navigation. With the disappearance of the physical Home button, Apple has also did away with the fingerprint scanner on the iPhone X. The premium iPhone X can now be unlocked with a thing called ﻿﻿﻿Face ID. Authenticating payments and users, which used to be the function of Touch ID, is now part of Face ID’s functionality. According to Apple, the Face ID is more secure than the Touch ID. This is the first time that Apple has used facial recognition technology as part of its security features. According to the tech company, its own version of the technology is more secure than others given the fact that it uses a 3D scanner. Which means that the Face ID cannot be tricked by merely using a photo. However, while Face ID might be safer, there is still a debate on whether it is convenient. If you are not yet sure whether you will be comfortable with the Face ID technology, then the iPhone 8 or iPhone 8 Plus should be your choice since both of those iPhone's still use the Touch ID feature. All 3 iPhone's launched this year are equipped with Apple’s augmented reality function. 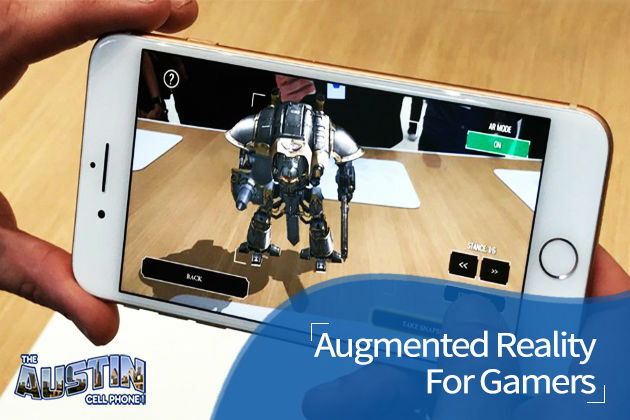 This gives the user a more exciting gameplay and life-like experience with interactive apps. For this feature it does not matter if you go with the iPhone 8 or iPhone X since both will have them. If you REALLY love this type of technology, then go with the iPhone X. Aside from its augmented reality capability, this iPhone's front camera has TrueDepth technology which lets the camera do facial mapping. This means that you can now make a Snapchat filter of yourself or even an Animoji of your face. If you are coming from an iPhone 7, the iPhone 8 might not offer you a substantially different experience than if you went for the iPhone X. But if you are coming from an iPhone 6 then the iPhone 8 can definitely bring you something fresh. At the end of the day, choosing the right iPhone for you means you have to know your wants and needs and which of these is negotiable. 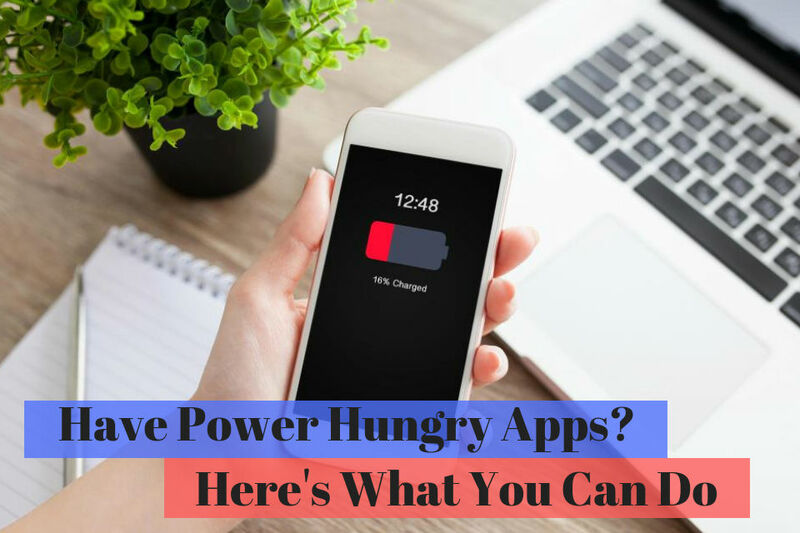 Buying any of these three iPhone's will put you back a significant amount of money so make sure that the iPhone you choose will be something that suits your lifestyle and personal preferences. You can also save big by not buying one of these "new" iPhone's and consider ﻿﻿bu﻿﻿ying a used iPhone,﻿ unless you plan on getting the iPhone X. For those who do not know, 2017 is a big year for the manufacturing giant, Apple. The tech company will is celebrating its 10th year anniversary of the iPhone. People are excited for what is in store for this year’s release of the much-anticipated iPhone 8. With only a few weeks to go before the big launch of the latest device, there are many rumors already circulating about it including one leak from Apple itself. Unlike its predecessors, the iPhone 8 is said to have a radical design with a display from edge to edge. It has been said that Apple will do away with the physical Home button and the only bezel that will be left is a small area dedicated for a front-facing camera. Apple confirmed that it is working on a facial recognition technology so expect that the Touch ID may be eliminated in favor of the former. Because of its edge to edge design, the device may have a size similar to the of the 4.7 inch iPhone but with a display area same as the 5.5 inch one. However, there are also rumors suggesting that the display area will be 5.8 inches with 5.15 inches of usable space. Since there is a huge possibility that the physical Home button will be eliminated, gestures might be used to navigate the phone. The display screen is said to be made of flexible plastic OLED rather than the usual LCD. This switch will help Apple come up with a thinner device with less power consumption but shows off a better display with higher contrast ratio and more true to life colors. Let's hope that the new display is more durable than all of the previous models combined. Replacing the iPhone 8 screen will set you back $109. 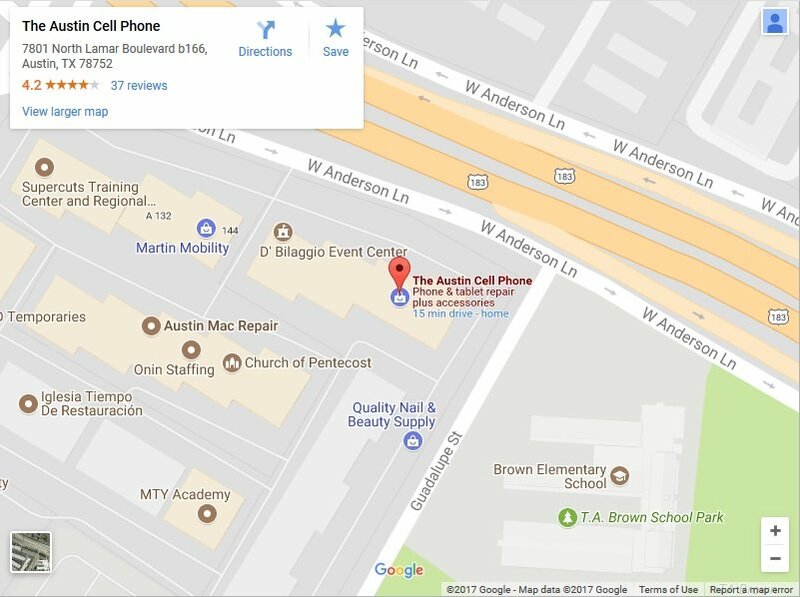 You can walk into our cell phone repair store in Austin Texas or use our iPhone mail in repair service that works for anyone in the USA. Still, it is better to invest in a good case and tempered glass screen protector to avoid the costly repair. Will Apple Go With An All Glass Body? For the body, the iPhone 8 may veer away from the aluminum. Unlike its immediate predecessors, the latest device might be sporting a glass body similar to its great great grandparent, the iPhone 4. The glass is said to be built around a polished frame of stainless steel just like the Apple Watch. It is also expected to be water resistant and hold up rain, splashes, and brief submersion in water. The water-resistant feature has also been confirmed by Apple’s supplier and such feature may extend to all iPhone models moving forward. Inside its body, the iPhone 8 is expected to sport a 10-nanometer A11 chip which will help it be faster and more efficient. New technologies like wireless charging and facial recognition can also be expected. For higher-end models, optical image stabilization may be expected for both front and rear cameras. The camera will also include 3D sensing capabilities that will allow it to locate and find the depth of objects in front of it. Such 3D capability will also help in its facial recognition features. For this year, Apple will be sticking with its A11 chip for all iPhone models. The production for the newest chip began in May 2017. The chip is expected to give the users a faster and more power efficient performance compared to the present A10 chip. The A11 can also lead to a better battery life that will surely be music to the ears of most users. The RAM of the iPhone 8 is similar to that of the iPhone 7 Plus, a 3GB one. The DRAM transfer speed of the latest models is expected to be 10-15 percent faster than the iPhone 7. So What’s The Price to Pay? 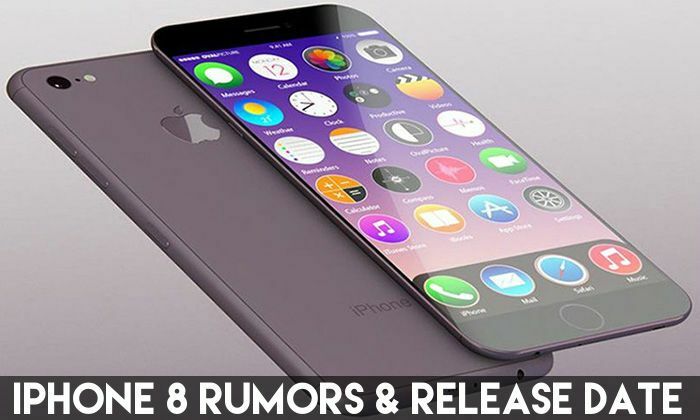 Rumors have been circulating that the iPhone 8 will be the most expensive phone from Apple. The new OLED display, wireless charging, bio-metric features and improved camera performance have been pointed out as the causes for the price increase. Some have priced the iPhone 8 at around $1,000 while others believed it will go beyond that. However, there are also rumors that lower-end models will be released for those who do not want to spend such a big amount of money on a new phone.